Keith Urban in Montreal or Quebec City? Inform me about the next events for Keith Urban. Enroll yourself to our priority waiting list for Keith Urban to be alerted when new tickets are available. Filling this form doesn't engage you to any purchase. Keith Urban is coming to Quebec City and Montreal on August 12 and 13, 2017 ! Many people remember his performance at the Festival d'été de Québec in the summer of 2015. 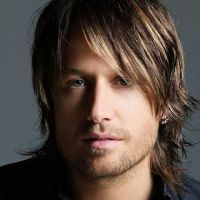 It was Keith Urban's first gig in Quebec. The Australian country singer is hugely popular in the United States, thanks to his many hit records and his participation on the jury of American Idol, since 2012. Don't miss his return !